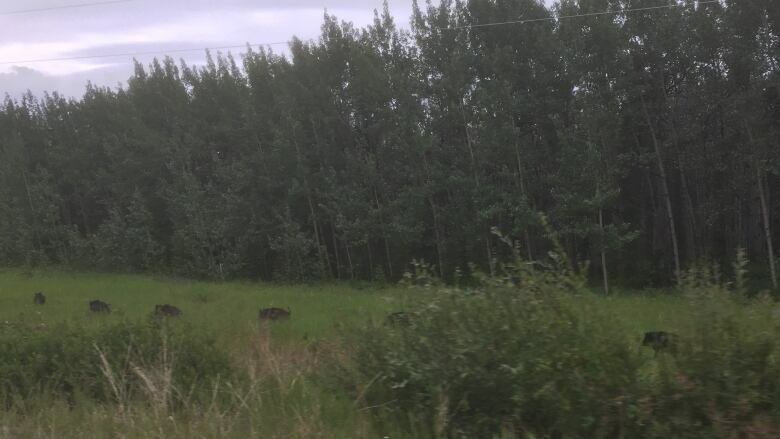 The owner of seven wild boars that escaped last month west of Whitehorse has managed to find and kill one of the animals, according to the Yukon government. But the other six are still running free. And according to a University of Saskatchewan researcher who's studied wild boars, that's bad news. "If you think what you're doing is important today, you're wrong. Stop what you're doing... get out there and find every one of [the boars] and remove them," said associate professor Ryan Brook. He said any boar that is shot at, but not killed, becomes "wild very, very quickly." The animals, all female, escaped from a farm in the Mendenhall subdivision area sometime last month. Local residents have been alarmed to see the beasts occasionally wander onto their rural properties, but the animals have proven hard to catch. Last week, government agriculture officials admitted the pigs had so far outsmarted them, so they gave the owner an ultimatum: remove your animals from the wild or face fines. The deadline passed last Wednesday, but government officials won't say how the farmer's being penalized. "Since this is an ongoing enforcement issue, we are not able to provide further information on the details surrounding the timeline, and amount of fines," said Jesse Devost, a spokesperson for the Department of Energy, Mines and Resources, in an email to CBC. According to Brook, wild boars are an invasive species and they've wreaked havoc in many places across the country, including Saskatchewan. He said they can damage landscapes and ecosystems, and threaten local agriculture, because they root up vegetation and "they will eat almost anything." "They really do a lot of damage to almost any landscape, but especially wetlands get really torn apart," Brook said. "These wild pigs, they're just a major global threat. Not just Canada, or not just local here — it is a global issue." Brook said it's also possible the animals could spread disease to livestock, wild species, and possibly even people, although he said that's not a major concern in Canada right now. "That's mainly because we haven't looked," he said. Brook said it's key to eradicate the animals from the wild as soon as possible, especially if there's any risk that they might reproduce. "These animals are continuously breeding non-stop and producing litters of six all along the way. And those young can become sexually mature at about five to six months. So, you do the math," he said. The Yukon government has said the risk of the animals breeding in the wild is low, since the escapees are all female and there are no other known wild pigs in Yukon for them to mate with. 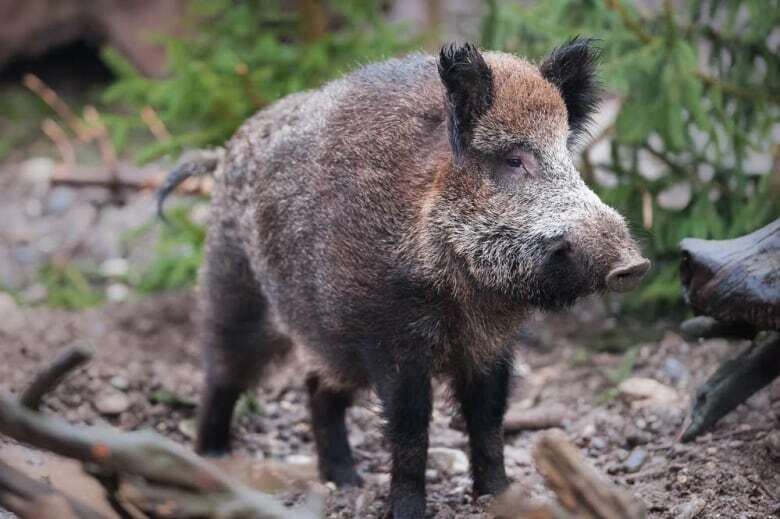 The animals can breed with domestic pigs, so other pig farmers in the area have been advised to "be diligent in monitoring their animals and containment structures while these wild boar are in the area," Devost wrote. Brook said that's all good news, but it doesn't lessen his concern. "Even a couple can do a lot of damage," he said. They're also just plain dangerous when they're running wild, Brook said. He advises any Yukoner who sees the animals to beat a retreat. "Approaching these animals — I wouldn't recommend it," he said. "If you see them out on the ground, I would definitely get back in the house and close the door." "When we have a ground crew here, when people are going to shoot at pigs, we also have people with shotguns to protect the shooters themselves because [the boars] will charge." He also said that the longer the animals run loose, the more elusive — and dangerous — they'll be. "Time is everything with these things," he said.